Facebook Have a Themes? Are you kidding?? 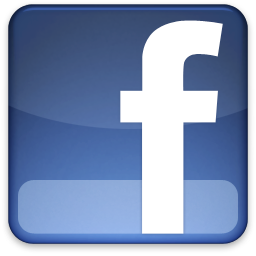 Hey guys, today I wanna show u how to change / customize u'r facebook profile. -Since Facebook layout / setting change every month so glitch would be happen. 4-and do the same step as above. (2) (Click add to firefox)And pop-up will says to install them. Click install Once u install both, click restart firefox on the pop-up! But Sometimes when u clicked "add to firefox" pop up doesn't show cus, it'll comes out ballon on top of the browser (below the tab), click allow. Okay, after that, make sure there are two icons on the bottom right of you browser (monkey, and 'S' logo) if not, you can check it on "Tools > add-ons" to make sure they both installed. and search Facebook on top of the right of the web page and you can see alot of results come out. IMAGE - The result should be like this. Choose which one u like! ** PLEASE MAKE SURE that the Themes Script is for Facebook! Once u click "install", go to facebook and ta-da! -It's works on other website to! Go to stylish website and search any website u desire such as google/gamespot/youtube etc. -Works only on Firefox version 3.